Heidi specializes in nineteenth-century British literary and cultural studies. 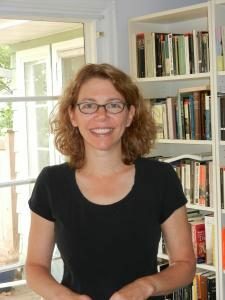 Her first book, English Origins, Jewish Discourse, and the Nineteenth-Century British Novel (2009), examines novelistic responses to Jewish and Christian religious and historical affiliations. Her articles and essay collections focus on nation formation, religion, race, and imperial culture in nineteenth-century Britain. Currently, Heidi is co-editing an essay collection on Caribbean Jewish Literary Intersections. She is also working on a series of linked projects that focus on archives of nineteenth-century East End writing. Heidi is excited to work alongside colleagues at UO to develop digital and public humanities initiatives across campus and beyond. 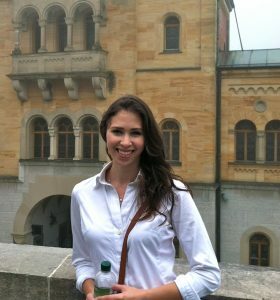 Hayley is a third-year PhD candidate in the Department of History at the University of Oregon, studying nineteenth and twentieth-century environmental history. Hayley’s dissertation research concerns the history of seabed technologies and their influence on international water law and the marine environment. Hayley received her MA from Colorado State University and her BA from the University of Kansas. While her recent research has been in environmental history, Hayley also has a background in the public history field including museum studies and historic preservation. Hayley is eager to highlight the importance of digital methods to humanities scholars at the University of Oregon.